Hi everyone! I’m back from another week in Charleston where I was shooting the second half of my new cookbook, Skinnytaste Fast and Slow (comes out this Fall). While there I did a book signing at the Charleston Wine + Food Festival, got to try some new restaurants and did some sight seeing, if you haven’t been there yet it’s a must! 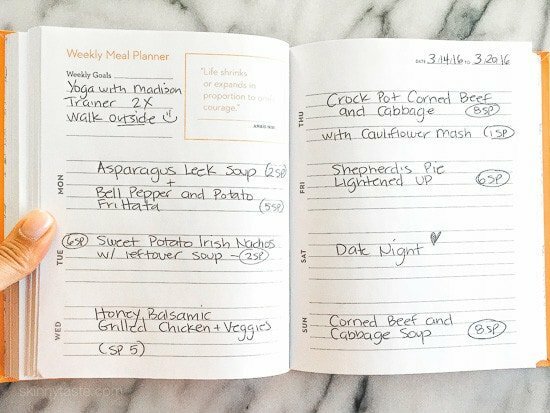 This is week 20 of sharing my weekly dinner plans. 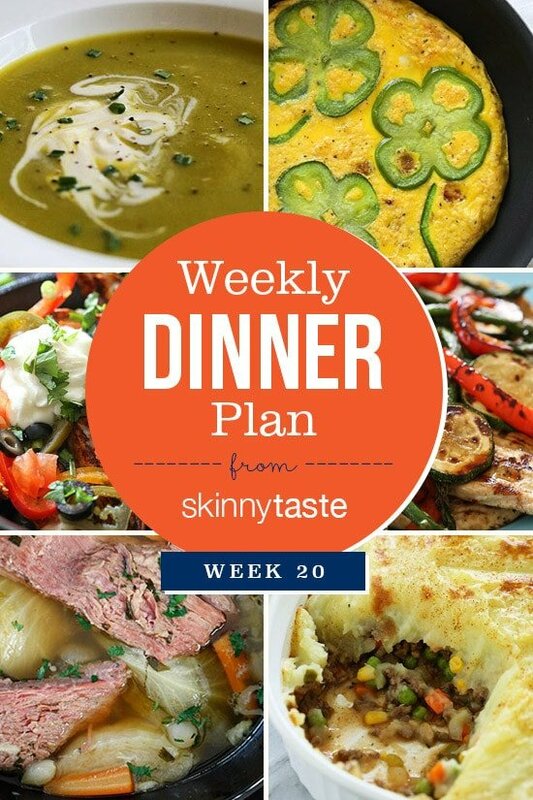 I use The Skinnytaste Meal Planner pictured below to plan my dinners for the week (you can of course use any meal planner). Weight Watchers. Also, if you have The Skinnytaste Cookbook, and currently on Weight Watchers, I have all the Smart Points listed here for your convenience. more, it’s either packed up for everyone’s lunch or eaten the next day as leftovers. If you would like to see some of the previous week’s dinner plans, click here.